In 2018, St. Charles Consulting Group built The HIVE Innovation Center at our Client Operations Center just outside of Chicago, Illinois. The goal of The HIVE is to serve as a thinktank for developing learning solutions using concepts and rapidly advancing technologies for the purpose of enhancing the learner experience and accelerating learner performance. We regularly use this dedicated space to explore, research and collaborate on new learning practices, emerging technologies, and future-focused learning modalities and design implications. One of the main reasons we established The HIVE was to stay on the leading edge of new learning methods, practices and technologies. At the forefront of that research and collaboration is Curation. In fact, St. Charles has established documented methodologies, best practices, and standards for curating content and developing customized learning paths. We have also spent a considerable amount of time and resources on the practice and methods for developing Adaptive Learning. 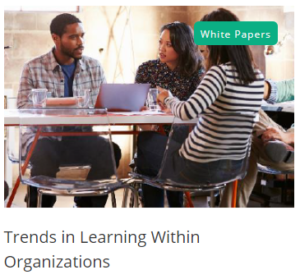 The adaptive learning method and tools incorporate the learner’s perception of competence along-side of actual assessment results to customize learning content and paths. Simply stated, it starts with a question for the learner and asks their certainty around their response. Then, using algorithms, it provides learners with varied sequencing and amounts of content based on not only their understanding of the concept but also their perception. We believe there is real value in this method, as younger workers, having grown up in a ‘Google world’ are used to starting with questions to learn, appreciate tailored content, want it in small bursts, and like the idea of bite-sized pieces being delivered to their mobile device. In 2019, we will continue with these topics, but also expand to address User Experience and User Interface, such as the use of voice to easily access knowledge bases and improve the access and frequency of learning. Using our proprietary methodology and proven practices for Curation, we create customized learning pathways by integrating context that transforms content into learning experiences. St. Charles has continued to strengthen our partnership with Degreed, the leading platform for curated learning, by providing Degreed clients a curation curriculum to re-skill learning professionals, curation strategies and learning pathway curation services. 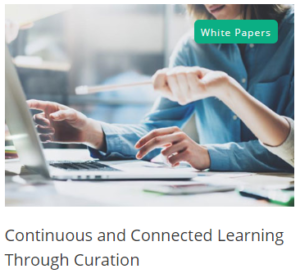 To further accelerate our clients’ adoption and success utilizing curated learning experiences, we offer curation as a service by acting as a curation outsourcing provider to our clients. 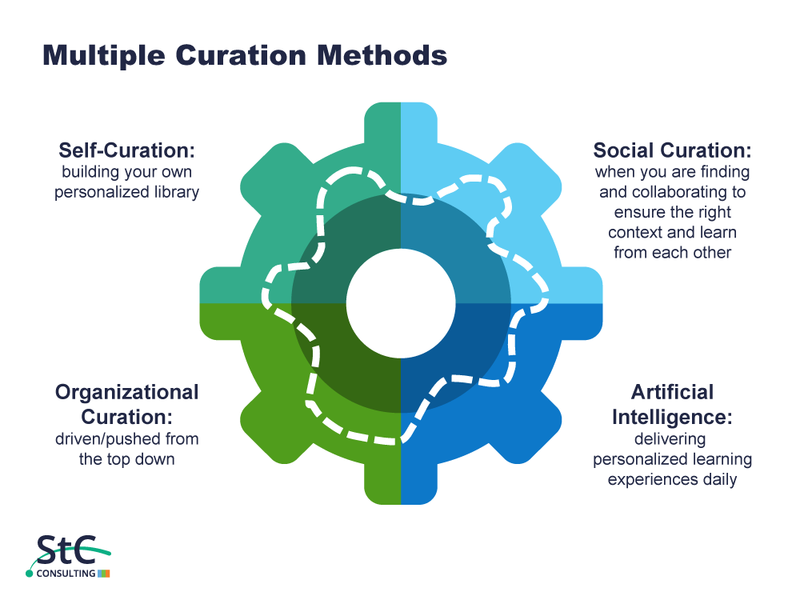 Often, this service goes beyond the act of curation and provides strategies on how to shift the organization’s culture to enable curation success. It really does take a mindset shift to enable the transition to employees owning and driving their own continuous learning and career development through a tool like Degreed. Additionally, we are developing proven practices and finding and validating sources for curation on current topics requested by our clients, such as Digital Transformation, Difficult Conversations, Active Listening, Building Trust, Agile, Motivating Teams, and Audit of the Future. As mentioned earlier, we have researched the efficacy and applicability of Adaptive Learning as a method and a tool to improve engagement and retention of knowledge. We recently completed a prototype for two clients on the topics of Big Data and Data Visualization. The user feedback has been outstanding in the experience. We are also finding that value of using adaptive learning, beyond better retention and improved the learning experience, is that Learning functions can use the results in the form of a heat map to address commonly mis-held beliefs with follow on training and communications. In the second half of 2018, we launched The HIVE podcast, so that our clients and the broader learning community could hear insights and practical application from experts in the learning community. The goal of the podcast is to help Talent Executives and Practitioners better develop their talent and to support their organization’s business strategies. We are excited to announce that the HIVE podcast will feature Learning Experts from Walmart Global Ecommerce, Trip Advisor, Apple, and other leading organizations during the upcoming months. If you would like to hear about a specific topic or would like to be a guest on The Hive podcast, please reach out to us at TheHIVE@stccg.com. We are thrilled with the progress we have made in The HIVE over the last 8 months. From the collaboration with leading learning technology providers, to Fortune 50 companies, The HIVE has become a vibrant space to collaborate and innovate.